With Frozen Ever After now open in the World Showcase at EPCOT, it truly marks the end of an era for Disneyworld and EPCOT. Where Elsa, Anna and Olaf now reside used to be a hidden gem of sorts for EPCOT, a ride that took you through an adventure through Norway. 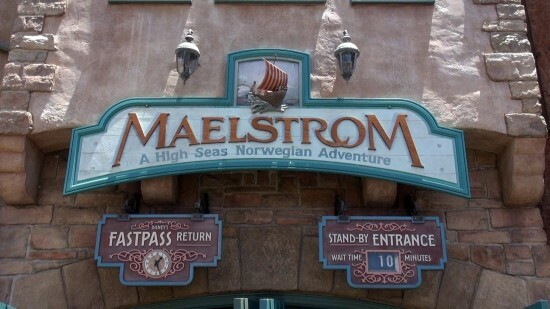 Of course, I am talking about the long standing ride, Maelstrom. I’ll miss Maelstrom. It was never the most popular ride at EPCOT like Spaceship Earth, Journey Into Imagination or Soarin’, but it had a cult following. It was definitely unique. Where else in Disneyworld could you encounter trolls, polar bears, vikings and living trees? The waiting line at Muppet Vision 3D? No chance, buddy. In the ride, you were taken through the history of Norway, from when the vikings settled all the way to modern day Norway with an oil rig. When the narrator, who I always suspected to be Norwegian god and Thor’s father Odin, due to his missing eye that shined light, told riders “You are not the first to pass this way, nor shall you be the last” I felt like I was being transported to Asgard! A sense of adventure filled me. It was such a fun ride, especially if you were into mythology and fantasy. So entertaining. 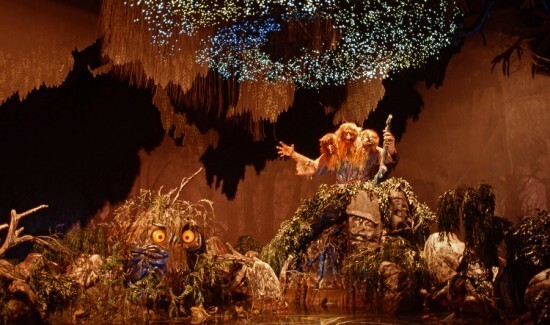 A living tree and trolls you’d encounter in Maelstrom. 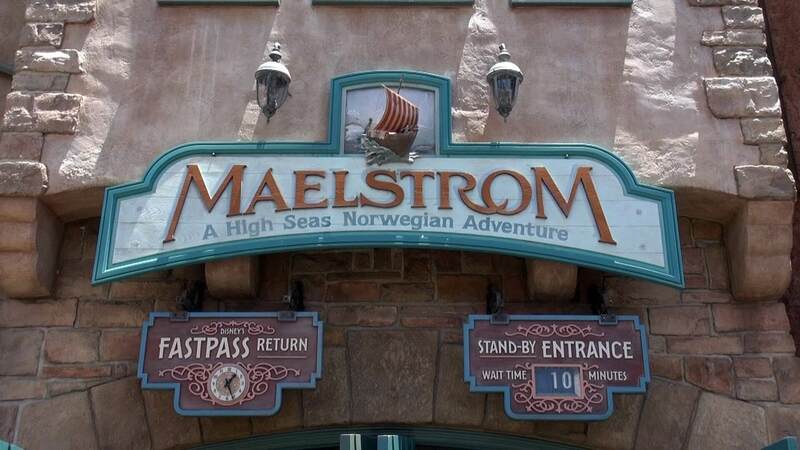 I’ll admit I didn’t “discover” Maelstrom until a trip to the Happiest Place On Earth in 2004. As a matter of fact, I didn’t even know it existed until then. My family and I were wandering around EPCOT looking for a ride to go on and we passed Norway and this ride caught my eye. After I went on my maiden voyage around the history of Norway, it went to the top of my “Must Ride” list at Disneyworld, overtaking Space Mountain and Star Tours. I know I’m waxing poetic about the ride, but I am going to miss it. I know parks and attractions need to change to keep things fresh and new, but the next time I go to EPCOT, it won’t be the same. When I go back to my hotel after landing my space shuttle on Mars, soaring through the skies across the world, test driving Chevy’s new car, having Figment and Dr. Channing expand my imagination and find out how I’m living off the land, it’ll feel like there was something missing. Don’t you guys write about Disney Parks around the world all of the time? Surely you know that Walt Disney World is three separate words, and not ‘Disneyworld’ as you repeat in this article. Unless you come from abroad or live on different planet. Disneyworld / Disney/ Disney World is approriate name especially for most Floridian with season pass. I never said we were going to Walt Disney World…. We always said we’re going to Disneyworld for Orlando and Disneyland for Annaheim. Ummm… no, not really. You weren’t taken ‘through’ the history, you were taken to specific parts of the history, and really, an actual talking Odin and Trolls aren’t historical. Then you get the skinny polar bears and then the oil rig. That is not history. That is not educational. That’s a hot mess of less than a handful of cultural vignettes. Sheesh people can be harsh. I for one enjoyed the article very much 🙂 I’m a westcoaster and I have never been to Disneyworld so I never got the chance to ride this one. Thank you for the insights and your thoughts! Reading this makes me sad it’s gone. Great article.